55 churches and chapels in England, Wales, Scotland and Northern Ireland are set to benefit from rescue funding of £425,183 from the National Churches Trust. St Botolph, Colchester, Essex. The Grade II Listed church receives a £10,000 National Churches Trust Repair Grant to help fund urgent tower repairs. 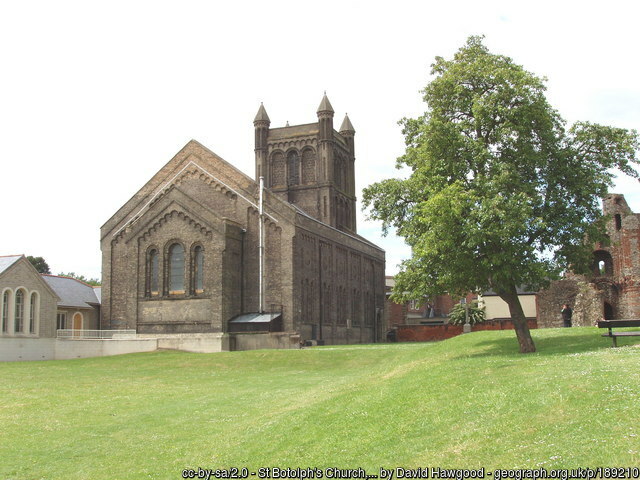 St Botolph’s church is of special interest as a late Georgian town church. Because of its acclaimed acoustic properties and versatility, St Botolph’s is widely regarded as Colchester’s best concert venue and the building's future will now be secure for the next generation and beyond. St Michael and All Angels, Brampton Abbotts, Herefordshire. The church has been closed since 2012 but thanks to a £20,000 funding boost from the National Churches Trust, the Grade II* church, on Historic England’s ‘Heritage At Risk Register’, will be made wind proof and watertight. The plan is for the renovated church to be converted in to a micro bakery, café, community facilities for all, and use for training purposes, whilst still offering worship a minimum of 6 times a year. St Alban, Macclesfield, Cheshire. The Grade II* Listed Roman Catholic receives a £10,000 funding boost in the shape of a National Churches Trust Repair Grant to help fund urgent roof repairs. St Alban's was designed by the famous Victorian architect AWN Pugin and is described by Historic England as a "church of exceptional interest among the works of this major architect". St Julitta, Lanteglos by Camelford, Cornwall. Grade I Listed and on Historic England’s Heritage at Risk Register, the church, an important community resource which is under threat from structural deterioration, receives a £40,000 funding boost in the shape of a National Churches Trust Repair Grant to help fund urgent roof and stonework repairs. Parts of the building date back to Norman times. St Mary, Beverley, Yorkshire. The Grade I Listed church receives a £10,000 National Churches Trust Community Grant for its project to install much-needed toilets. As a result visitors will be able to spend more time in the church. 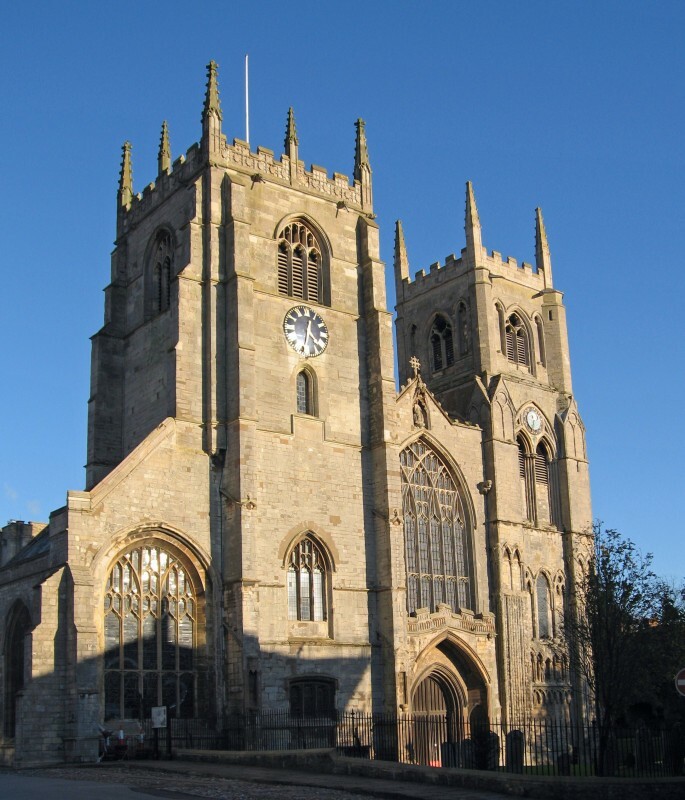 St Mary’s Beverley was founded in 1120, a product of medieval Christianity testifying to the wealth of Beverley at the time, and tracing the story of English Gothic architecture from its earliest days to its Perpendicular climax. Author Sir John Betjeman praised it for ‘the perfection of its proportions, the noble simplicity of its stone mouldings, and the many changing vistas. 11 of the churches being helped are on the Historic England 'At Risk Register'. You can see photos of the churches receiving Repair and Community Grants on Flickr. 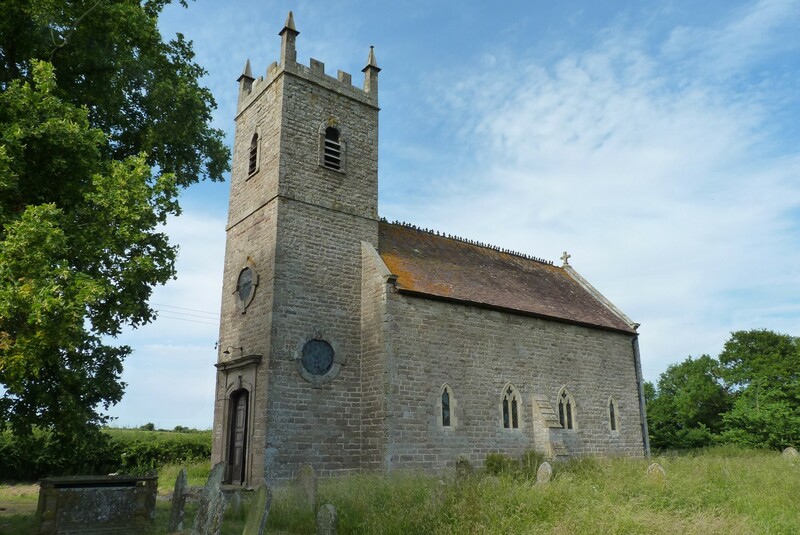 4 churches receive National Churches Trust Project Development Grants, supporting churches to become more sustainable through the diagnosis of issues and the development applications to large church heritage funders such as the Heritage Lottery Fund. See the full list of churches receiving Project Development Grants. 24 churches receive National Churches Trust Maintenance Grants, run in partnership with the Pilgrim Trust, to act on small, urgent maintenance issues and repairs. See the full list of churches receiving Maintenance Grants. In addition, 4 churches receive National Churches Trust Partnership Grants for urgent repair projects, awarded on the recommendation of local church trusts in England, Wales and Scotland. See the full list of churches receiving Partnership Grants. 4 churches and chapels also receive a National Churches Trust micro-grant to set up a Cinnamon Network Recognised Project. The Cinnamon Network is a charity that works with churches to help those most at need in their communities. Full list of Repair and Community Grants awarded follows. 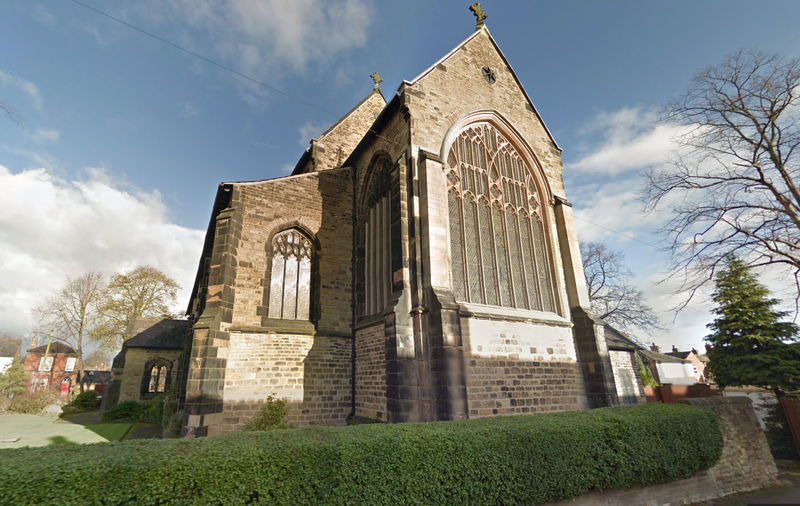 St John Alban’s church in Macclesfield has received a £10,000 funding boost in the shape of a National Churches Trust Repair Grant to help fund urgent roof repairs. The project will secure the roof and stonework of the tower, prevent water penetration and protect the structure for future generations. The main entrance and organ will also be safeguarded. This work should go towards removing the building from Historic England’s Heritage At Risk register. The project will repair the roof coverings, parapet gutters, masonry, glazing and roof drainage which are all in very poor condition. St Alban's church in Macclesfield is a Roman Catholic parish church. The church is recorded in the National Heritage List for England as a designated Grade II* listed building. It was designed by the famous Victorian architect AWN Pugin and is described by Historic England as a "church of exceptional interest among the works of this major architect". The church was designed in 1838 and built between 1839 and 1841. Some of the money needed to build it was given by the Earl of Shrewsbury; the total cost was about £8,000 (equivalent to £670,000 in 2016). St Alban’s was AWN Pugin’s second major church and it appears in his hugely influential 1843 publication "The Present State of Ecclesiastical Architecture in England". Built in 1841, it is an excellent example of his early Perpendicular Gothic. Pevsner describes St Alban's as: "a Pugin church of considerable size and unstinted design". It still retains many significant features typical of AWN Pugin's work, such as the rood screen, which incorporates 15th century German or Flemish figures from Louvrain. Via 'live streaming' of services on the internet the church can reach the housebound, those on business, and family members of parishioners who don't live locally. 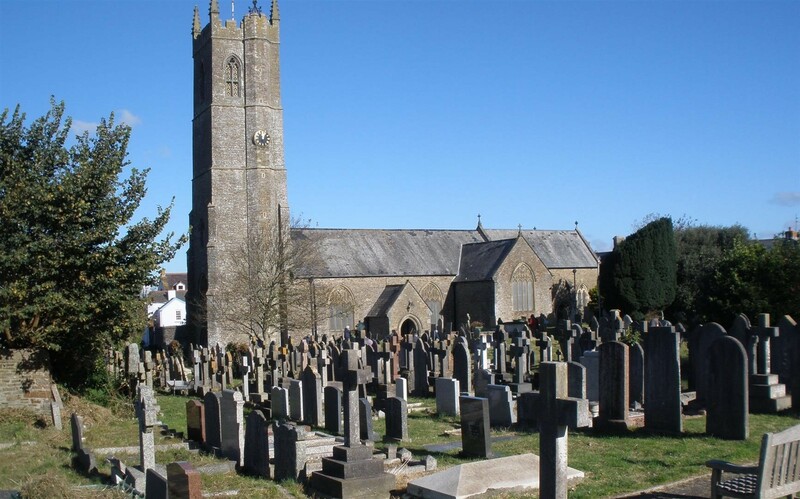 St Julitta’s church in Lanteglos by Camelford has received a £40,000 funding boost in the shape of a National Churches Trust Repair Grant to help fund urgent roof and stonework repairs. The project will rescue the church, an important community resource which is under threat from structural deterioration. At present damp is everywhere. The roof will be renewed with as many recovered slates as possible, structural repairs will take place to walls and to the tower, re pointing with lime mortar, and rotten timbers will be replaced. The materials will either be reused, or replacements will be matched as near as possible to the original. The work will ensure that the building can be taken off the Historic England Heritage at Risk register. An additional benefit is that the building will be made fit for the 21st century and able to cope with large community gatherings that has been its function over many centuries. The church is used in numerous ways including regular afternoon teas, morning coffee, concerts, gospel music events, weddings, funerals, baptisms, flower festivals, Remembrance Sunday and even a Cub Scouts’ sleepover. St Julitta's is a Grade I Listed medieval Cornish church in the Parish of Lanteglos by Camelford. Parts of the building date back to Norman times. Rare 15th century stained glass survives today. The font, also 15th century, and the east window share an unusual early symbol of the universe. One of the first circumnavigators of the world, Samuel Wallis, was baptised in the font and his family dating from the 16th century is commemorated in a memorial stone. The historic landscape includes the nearby Iron Age fort of Castle Goff and an Iron Age settlement. Next to the church was a 13th century Royal deer park. A short way upstream on the edge of the River Allen is St Julitta’s Holy Well that flows past the church. St Julitta’s church has been a focus of Christian worship over centuries up to the present time and still holds regular services. The church is unusually light inside with large areas of clear glass. From outside, the windows allow visitors, unusually, to look right through the church nave and aisle from east to west as well as through the tower. St Margaret’s church in Northam has received a £10,000 funding boost in the shape of a National Churches Trust Repair Grant to help fund urgent roof repairs. The slate roof of St Margaret’s church is at the end of its life and can no longer be maintained. The interior plaster is fixed to the roof, meaning the ceiling will need to be replaced as well as the slates. Some rainwater guttering will also be replaced. St Margaret’s has been on its present site for at least eight centuries, and an earlier church has been here since the Norman times. The tower is 170 feet high and houses eight fine bells which are rung for weddings and funerals and on feast days. For many years the tower acted as a landmark for shipping in Bideford Bay and was painted white on the seaward side. The nave roof is mostly fourteenth and fifteenth century. The bosses of varied design are carved from sweet chestnut. In the nineteenth century, the church fell into disrepair and was restored by Rev Isaac H Gosset. Two galleries and pews were removed. The churchyard has been transformed through the hard work of a group of volunteers, both churchgoers and non-churchgoers, who work to keep the graves and surrounding area pleasant and neat. There are plans to develop this further considering conservation and ecology issues so the space is a joy for all who visit. 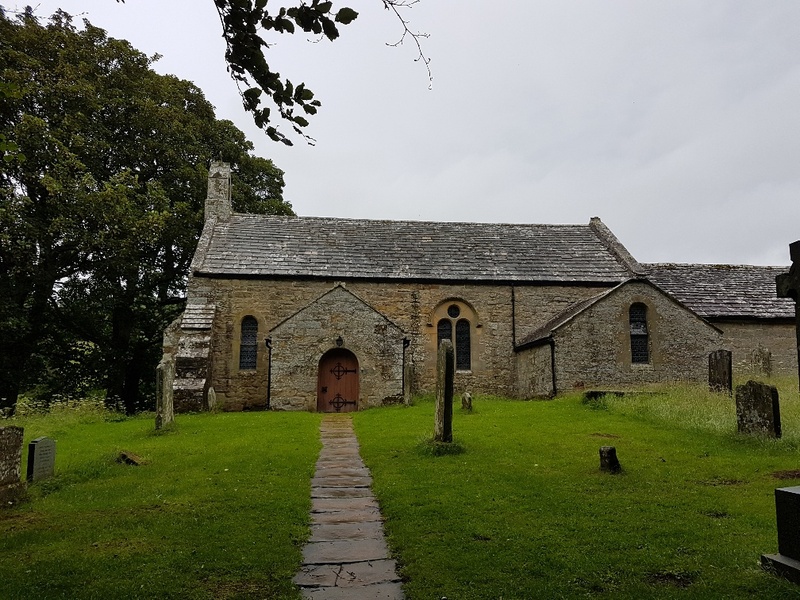 St Laurence’s church in Upwey has received a funding boost in the shape of a £10,000 National Churches Trust Community Grant for its project to install much-needed facilities. The project will create an extension with an accessible toilet and servery. The church already holds concerts, a fete, and a flower festival – it is rarely empty. The village public toilet was closed, and the café is sometimes closed. The new facilities will enable much more community use. The project ensures that this historic Grade II* listed building will be able to meet the needs of the community for years to come. The church will be welcoming for longer periods, especially for the elderly and children. It can be used for community events such as weddings and concerts, and as a social venue, such as a mother and baby group. Parts of the thirteenth century building can be found in St Laurence’s, which was enlarged between 1490 and 1520 in the perpendicular style. Pre-Reformation painted plaster still shows. Tudor roses dating to 1486 have been restored. The bell tower is from the fifteenth century, containing six bells. St Botolph’s church in Colchester has received a £10,000 funding boost in the shape of a National Churches Trust Repair Grant to help fund urgent tower repairs. St Botolph’s church will carry out urgent repairs to its tower. The existing roof is in very bad condition and will be reconstructed. Necessary repairs to the tower masonry will also be carried out. The project will make a tower that is watertight and in good condition for the next fifty years, making its maintenance easier and cheaper, releasing funds for maintenance of the rest of the building, and ensuring that the extensive community activity that takes place can continue. St Botolph’s church is of special interest as a late Georgian town church in a powerful neo-Norman style. It was designed by William Mason of Ipswich and built in 1837 on the site of the 12th century Augustinian Priory of St Botolph. Its architecture, inside and out, reflects that of its 12th century predecessor. Externally, the church is dominated by a massive tower. Internally, it presents a bright contrast of white, scarlet and gold, retaining its original plan and most of its three-sided gallery in the style of the London gallery churches. An extension, opened in 2001, provides a hall, fully equipped kitchen, toilets and a vestry/meeting room all accessible to the disabled. Because of its acclaimed acoustic properties and versatility, St Botolph’s is widely regarded as Colchester’s best concert venue. Last year there were 44 concerts and recitals, each with an average audience of about 150 people. On Historic England’s ‘Heritage At Risk Register’. 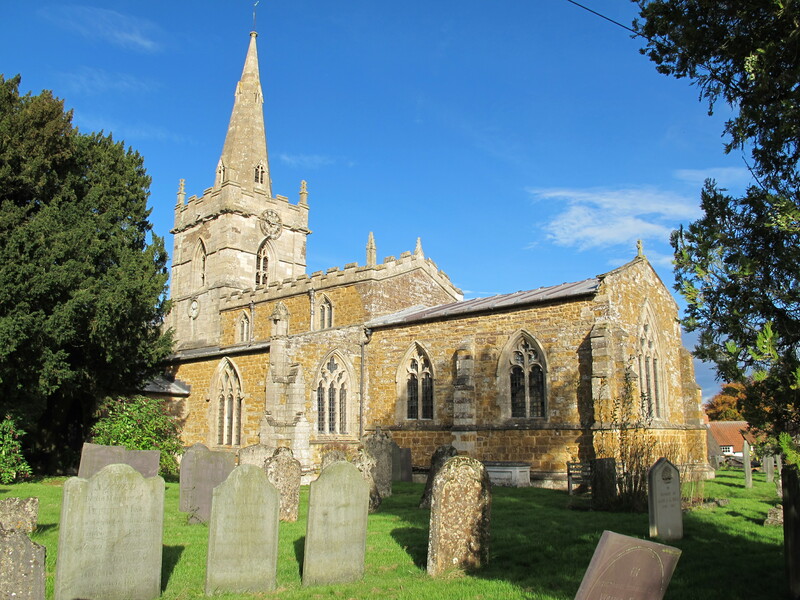 St Michael and All Angels church in Brampton Abbotts has received a £20,000 funding boost from the National Churches Trust which will help to renovate the church and support extensive repairs to all roofs, drains, stonework, windows, internal walls and ceilings. St Michael's has been closed since 2012, as the scope of repairs required were beyond the capacity of the community at that time. 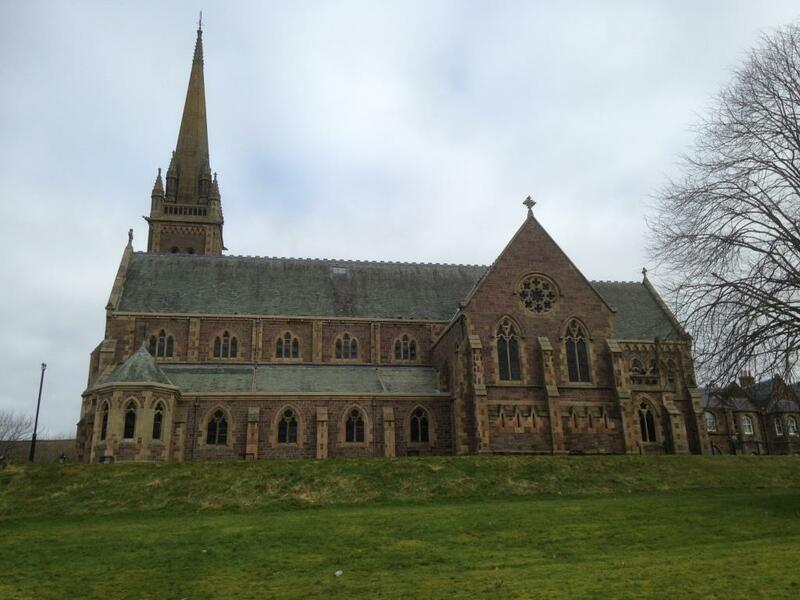 The project will address the major repairs needed at this Grade II* listed church. Urgent repairs are needed to the tower, all the roofs, rainwater goods, stonework, the porch, several windows, internal walls and ceilings, and electrics. The work should remove St Michael’s from the Heritage At Risk Register, make it wind and watertight, and give it a sustainable future. The plan is for the renovated church to be converted in to a micro bakery, café, community facilities for all, and use for training purposes, whilst still offering worship a minimum of 6 times a year . 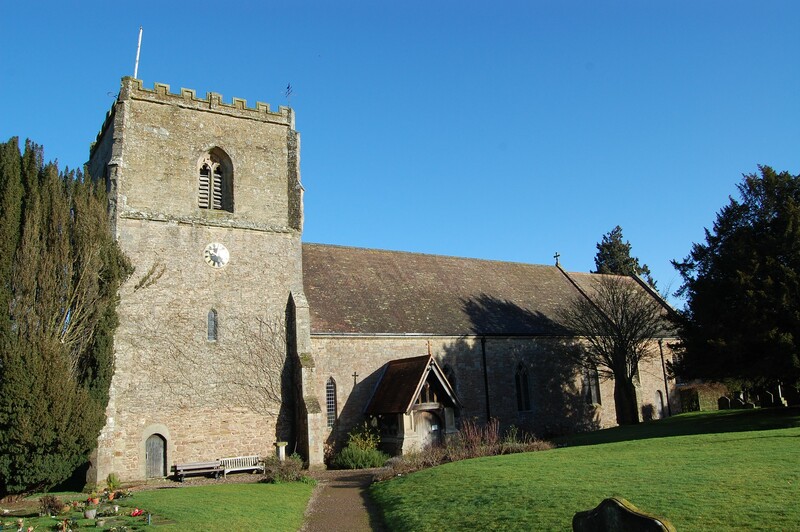 St Michael's is situated on the edge of the village in a beautiful hilltop setting with views from the churchyard towards Ross-on-Wye and the Forest of Dean. The church has a fine collection of Georgian tombs and a medieval churchyard cross. In the 19th century the church was restored by the eminent Victorian architect George Frederick Bodley, who was closely connected with Herefordshire through his wife and worked on several local churches. 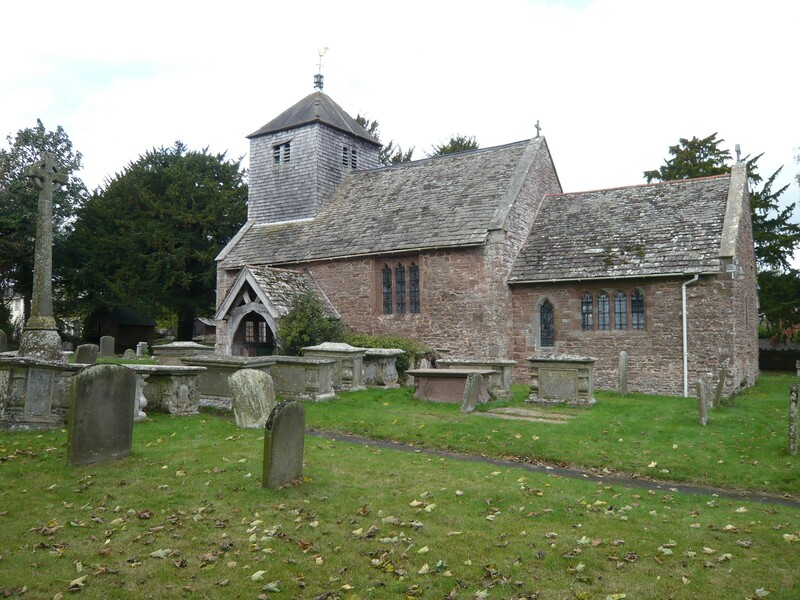 Bodley's first church is at nearby Llangrove whilst his last was the National Cathedral, Washington DC. 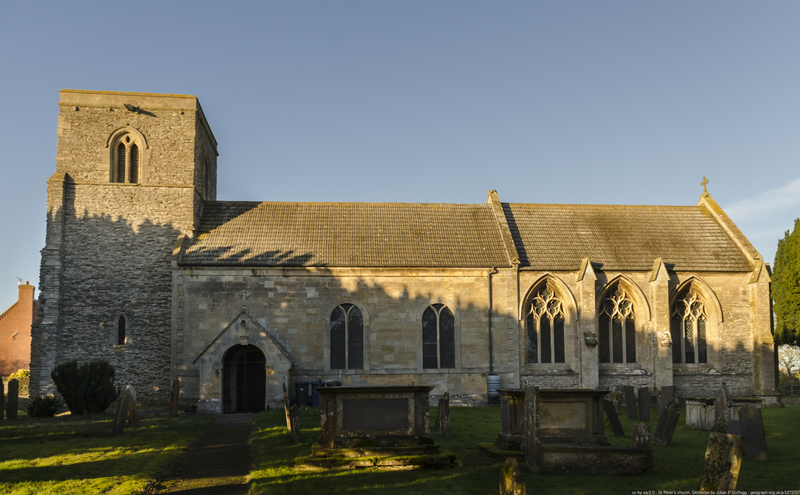 St James the Great church in has received a £10,000 funding boost in the shape of a National Churches Trust Repair Grant to help fund urgent roof repairs. The project will help to rescue the church which has deteriorated due to water penetration and damp to such an extent that parts of the building are now dangerous, and it is on the Heritage At Risk Register. Work to be carried out will include urgent repairs to the roof and external walls of the tower and associated masonry. The condition of the north aisle floor will be safeguarded by the replacement of joists. The work will conserve many heritage items as well as the fabric of the church’s tower, and the building will be removed from Historic England’s Heritage at Risk Register. St James' Church has been a place of Christian worship for many centuries. An early entry of Cradley as `Credelaie' (meaning 'Creoda's clearing') in Domesday Book in 1086 mentions a priest here. The present building dates back to the 12th century, and includes Anglo-Saxon features. The south doorway has a fine 12th century Norman chevron patterned arch. In 1864 the original church, was much in need of repair. The renowned church architect Sir George Gilbert Scott produced plans for rebuilding. The neighbouring gentry and parishioners subscribed to pay for rebuilding. A list of subscriptions, ranging from one penny to one hundred pounds, can be seen in the parish records. The clock in the church tower, funded by public subscription, was installed in the tower as a memorial to those who died in the First World War. As well as regular services, the church is open daily for visitors, including walkers, and self-service free tea and coffee facilities are always available. The church is used by Cradley Church of England Primary School for services every term. Being the largest venue in the village, the church is used for many community events including plays, concerts, Lent lunches, and strawberry cream teas on Sunday afternoons in summer. St. James' Church is situated within the Malvern Hills Area of Outstanding Natural Beauty and Cradley Conservation Area. Holy Trinity Church in Preston Wynne has received a £10,000 funding boost in the shape of a National Churches Trust Repair Grant to help fund urgent roof and stonework repairs. The project will include repairs to stonework, rainwater goods, churchyard walls, the tower roof and also a range of internal repairs. The east wall will also be pointed, grouted and repaired to ensure no further water penetration occurs. External eaves and abutments will be repaired and all rainwater goods and flashings will be upgraded. Holy Trinity church will be available for future generations for worship, weddings, funerals and as a historic resource. The project will ensure the church is removed from the Historic England’s Heritage At Risk register. Standing alone in the fields, accessible only by very swampy footpaths, this charming small church was first built in 1727. One of the few surviving interior features from this period is a rare board listing the benefactors of the building beneath a contemporary painting of the church by Wick of Hereford. The church was altered between 1858 and 1868 by Thomas Nicholson. He replaced the large Georgian windows with smaller Gothic style openings, though the outlines of the larger windows are still visible on the exterior. Nicholson also raised the roof and refurbished the church. A notice in the church indicates that the pews in the front of the church were for the residents of named houses whilst the remainder at the back were for the poor of the village. There is a strong suggestion that there was an earlier building on the site as significant bumps and hollows in the field leading to the church indicate a deserted medieval village. Archaeological work is being carried out to find out ascertaining whether there is evidence of a former church on the site. The church also receives a £2,000 National Churches Trust Micro-Grant in partnership with the Cinnamon Network, to help set up a Cinnamon Network recognised social action project to help local people. The project has installed an accessible toilet and kitchenette, create a multifunctional meeting area, and improved access by lighting the path from the lychgate so it is more welcoming. The church’s vision is to enhance their building so it returns to its place at the heart of the parish community. Uses will extend beyond worshippers – St Anthony’s is the only building in the parish that is open to the whole community during the day. With the new facilities they will be able to host activities such as Messy Church, café church, music events, exhibitions, and groups for the elderly and parents. The increased footfall will create a greater awareness of the church’s architectural heritage. The church of St Anthony dates from 1200 AD, with alterations from the fourteenth and fifteenth centuries. It was appropriated to the nearby Abbey of St Radegund in 1258, and has exceptional quality arcading on the north wall. The North Chapel is outstanding. The building is of stone and flint with a peg-tile roof and is situated in a conservation area set back from the main village thoroughfare. 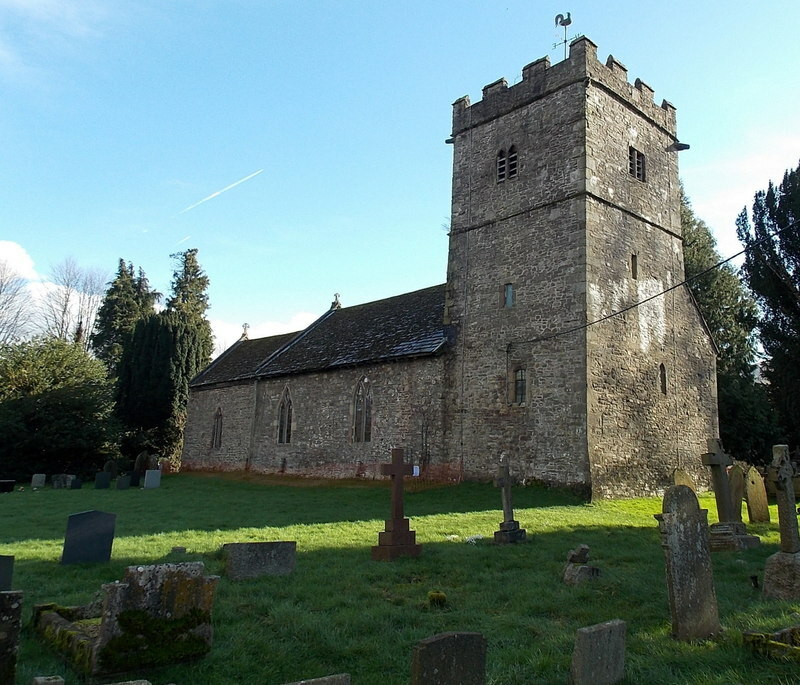 St John the Baptist church in Cold Overton has received a £10,000 funding boost in the shape of a National Churches Trust Repair Grant to help fund urgent tower repairs. St John the Baptist church requires urgent repairs to its tower. The lower portion of the spire, the top of the tower, bell chamber and porch have suffered structural movement and the project will stabilise these parts of the building. Work will also take place to deal with damp due to defective drains, gutters and chutes and mortars. The repair works will prevent further deterioration of the fabric of the building and safeguard its nationally important medieval wall paintings. 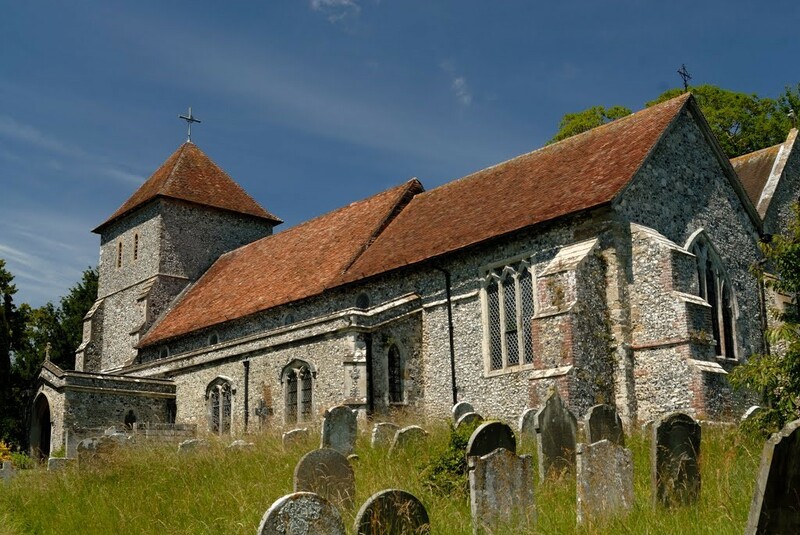 The church is also included in the Heritage Lottery Fund Bats in Churches project and solutions will be found to ensure their safety whilst also mitigating the impact of bats within the church. St John the Baptist is the parish church of the Leicestershire village of Cold Overton, a conservation village. It is an attractive medieval church, dating back to the 13th century, with some Early English architecture. The church has an excellent collection of stone carvings and grotesques. There are wall paintings in the South aisle, representing the death of the Blessed Virgin Mary, St John the Baptist, St Catherine and a Nativity scene. The church also has some very interesting stained glass windows. The 1780s saw the last major structural change when the south aisle was extended to provide a family chapel and burial vault for the Frewin-Turner family who then lived at Cold Overton Hall. Cold Overton has no village hall, pub or shop and therefore the church offers the only facility for communal use. As well as worship, the church is used for concerts, exhibitions, and cream teas for the purpose of raising funds for the maintenance and upkeep of the church. 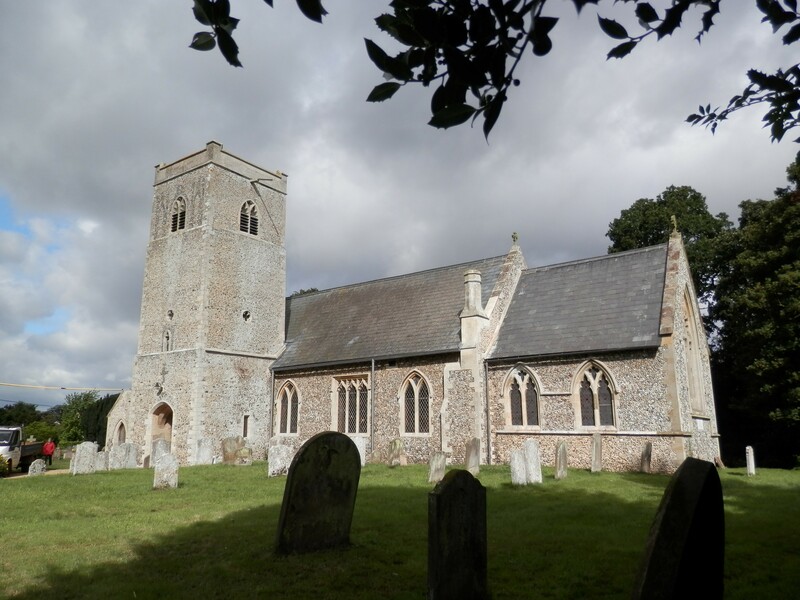 St Peter’s church in Little Ellingham has received a funding boost in the shape of a £5,651 National Churches Trust Community Grant for its project to install a much-needed kitchen. The project will make the building more suitable for community use by installing a kitchen and storage. Currently there is no space for work surfaces, crockery, washing up, or a kettle. Re-ordering at the west end will create a large space to be used flexibly by many different groups. The project ensures that this historic Grade II* listed building will be able to meet the needs of the community for years to come. 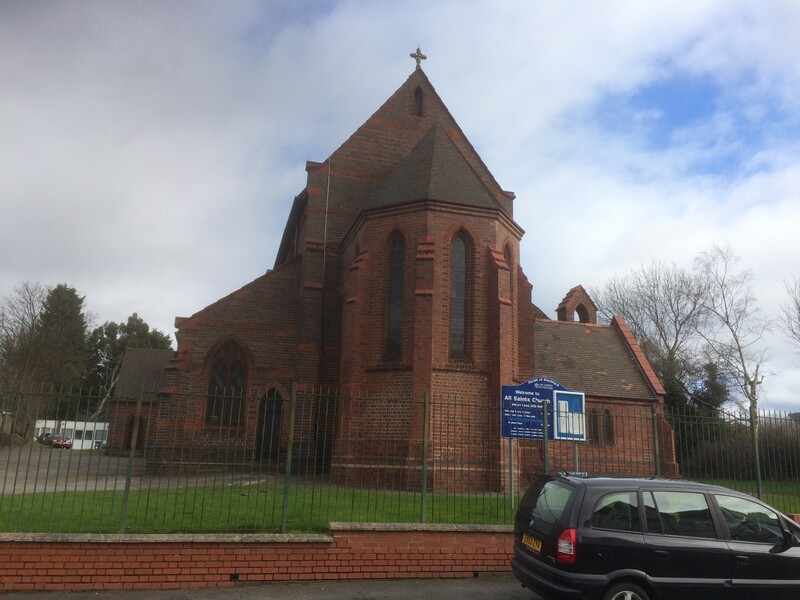 St Peter’s church plans to provide facilities and a space to attract more people into the church, for coffee mornings, exhibitions, amateur dramatics, and rehearsals. They also plan to build on the enthusiasm which has developed from the church becoming the focus of a growing interest in village history. St Peter’s is located at the centre of the village. It has a fine thirteenth century tower, which is unusually found to the south end rather than the west. This enables the interior to be illuminated by a large west window, making it light and airy. A serious fire in the nineteenth century led to restorations by architects TH. and F. Healey who replicated the original designs wherever possible. The project will improve access through the north porch including a wheelchair lift. It will also install accessible toilets, and improve access to the bell chamber. Office and meeting space will offer facilities for volunteers and staff, and be a place for community groups to meet. The new toilets will enable much bigger events to be held, particularly for the King’s Lynn Festival. The project ensures that this historic Grade I listed building, at the centre of tourism in Kings Lynn, will be able to meet the needs of the community for years to come. A display area will also tell the stories of historic figures associated with the church such as Margery Kempe, William Sawtrey and Fanny Burney, as a resource for local schools. King’s Lynn Minster was founded as the Priory Church of St Margaret of Antioch in 1101 by the first Bishop of Norwich. The south-west tower shows the evolution in architectural styles from twelfth century Romanesque, to thirteenth century Early English, to fourteenth century decorated. The northwest tower, west window, and entrance are fifteenth century. There is a unique perpendicular rose window in the east gable. Following damage in the Great Storm of 1741, parts of the nave were rebuilt. A major restoration was carried out by Sir George Gilbert Scott in the 1860s. Kings Lynn Minster is the focus of St Margaret’s Conservation Area. The project will tackle the urgent structural works to the church. These include making the building watertight by repairing the roof; drying out the walls by replacing rainwater goods; repairing cracked gable crosses; treating the woodwork for; restoring the bell tower, which is cracked and leaking; repairing windows; and re-plastering the nave and chancel, including installing new electrical and lighting circuits. The works will create a warm, dry place for worship and an education and resource centre for the local community. Situated in the Northumberland National Park, a network of footpaths and bridleways radiate from the village. Warm and dry, the church will be able to offer a welcome to all visitors. St Michael and All Angels is Grade I listed, and the only lasting built feature in the area for the last thousand years. It is not just a place of worship – it bears witness to the changing times in this remote part of the country. The present church building dates from the twelfth century, with a four-bay aisled nave and an elongated chancel. The project will make the building flexible for community use by installing an accessible toilet with changing facilities, a servery, and a mezzanine floor in the tower. The project ensures that this historic Grade I listed building will be able to meet local needs for years to come. St Peter’s is the only community building in the village, but has no running water or toilet currently. A water supply, refreshments and toilet facilities will enable the church to be used by the whole community. St Peter’s church will hold more events, including mother and toddler groups, coffee mornings, yoga, and concerts and recitals. Future possibilities include a farmers’ market and theatre groups. The nearest local pub has recently closed, so they are also planning a pub night! A church at Sibthorpe existed at the time of the Domesday Book in 1086. The earliest fabric is now found in the west tower, rubble stone erected in the thirteenth century. Some windows date from the fourteenth century, as well as the chancel which has a beautiful east window and an Easter Sepulchre. The richness of the work is due to the foundation of a College of Chantry Priests here in 1324 – later suppressed by Henry VIII. The tower contains a set of four bells originally installed in the 1620s, and recast in 1893. 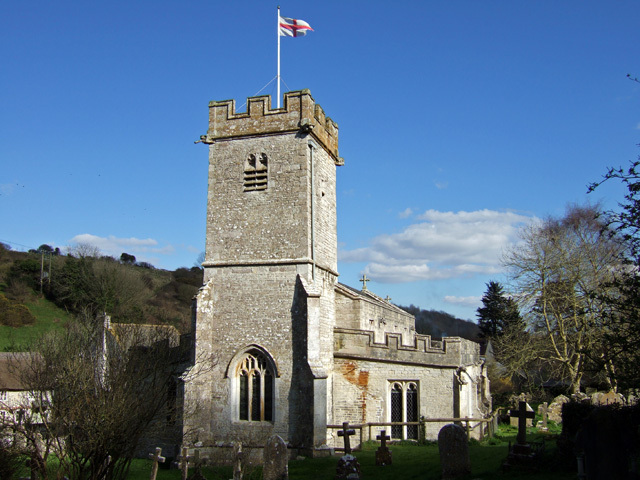 St Mary’s church in Brompton Regis has received a funding boost in the shape of a £10,000 National Churches Trust Repair Grant to help fund urgent repairs to the tower roof, stonework, internal fabric, and drainage. The project will tackle the urgent structural works to the church tower. The thirteenth century tower is chronically damp. Water has damaged the stone walls and roof, and there is damp rising from below. Poor attempts to patch up the problems previously haven’t worked. Recent wet winters have caused mould to grow on the internal walls and tower arch, with peeling plaster and puddles on the floor. The damp is also affecting the historic organ. The project helped by the National Churches Trust will re-grout and repoint the tower walls, and undertake re-roofing and repairs to stonework. It should remove the church from the Heritage At Risk Register, and ensure the whole building is attractive and welcoming for all those who visit including those at shared services, events, talks, and concerts. It will also help to recruit new bellringers to an improved environment. The stone church of the Blessed Virgin Mary dates back to the early thirteenth century. Royal connections in the village date back further than that, to when the manor was held by King Harold Godwinson’s mother in the eleventh century. The tower is the oldest surviving part of the church. The recently restored T.C. Lewis organ has a Historic Organ Certificate, and has attracted great interest. 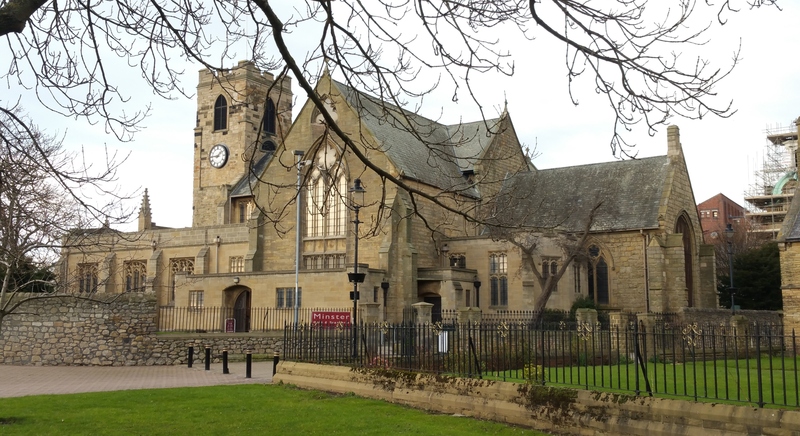 Sunderland Minster has received a funding boost in the shape of a £20,000 National Churches Trust Repair Grant to help fund urgent repairs to leadwork on the roof, and to high level stonework. The project will tackle the urgent structural works to the church. The north aisle lead roof is corroded and has poor quality lead covering, and the parapet gutters are leaking. The roof and gutters will be replaced, and the roof will be insulated. High level stonework repairs and repointing will be carried out. The tower stonework is flaking, with water damage. Urgent repairs and conservation will be carried out. With the completion of the work, the building will be watertight. The historic William Morris window will also be protected. Insulation and better lighting will reduce energy bills. With the building in good repair, plans for community uses can go ahead. Future plans for developing the use of the building continue, supported by a newly established and re-launched ‘Friends of the Minster’ and working with cultural and artistic initiatives which are now live in the city. Sunderland Minster has origins in the late thirteenth century, although the first church on this site was built in 900 AD. By 1806, it consisted of a west tower, arcaded nave, and narrow north and south aisles. Transepts were added in 1849-50 by Dobson, with deep galleries. The church was re-planned and enlarged by architect W.D. Caroe in 1933-35. Working in the neo-Perpendicular style, he heightened the nave, created double arcades, raised the chancel arch, extended the narthex, and added porches. The organ was built by Harrisons of Durham. The arch braced roof to the nave with a barrel vault in the chancel creates an impressive effect. The stained glass window in the chancel depicting Christ in Glory contains the words of the Creed, the Borough of Sunderland coat of arms, St Michael slaying the dragon and the historical figure of St. Nicholas, Bishop of Myra and patron saint of sailors. The window was designed in 1950 to replace one damaged by enemy action during World War II. The west window was designed by William Morris. St Mary’s church in Beverley has received a funding boost in the shape of a £10,000 National Churches Trust Community Grant for its project to install much-needed toilets. The project will make welcome visitors by installing toilets in the north aisle, which could be used without disturbing worship and will be wheelchair accessible. The font will be moved so it is at the centre of the congregation. The project ensures that this historic Grade I listed building will be able to meet the needs of the community for years to come – the current toilets require a walk to the hall, and are not easily accessible. Volunteers and visitors will be able to spend more time in the church. St Mary’s will also be able to extend their café area. Schools will be able to stay longer, and coach parties will be more welcome. Estimates suggest that visitors will increase by 15%. 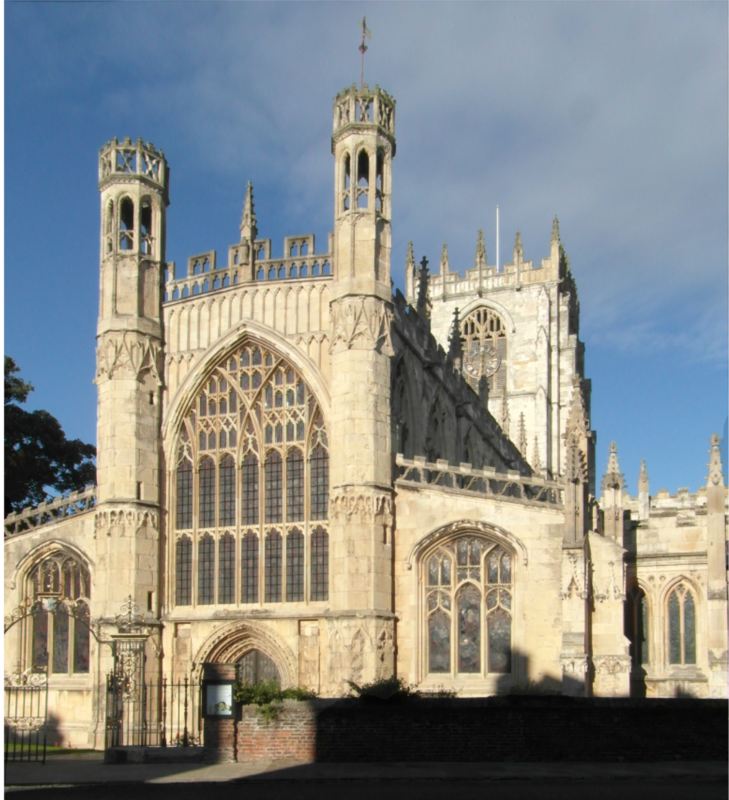 St Mary’s Beverley was founded in 1120, a product of medieval Christianity testifying to the wealth of Beverley at the time, and tracing the story of English Gothic architecture from its earliest days to its Perpendicular climax. Built over 600 years, it contains many extraordinary features, including 625 painted bosses set within a glorious celling depicting the Kings of England; 28 fine medieval misericords; and an unusual Priests Room from 1325. The work is of the finest quality and the intricate tracery inspired work at York Minster. These are set within a Cathedral-like church noted for its lightness. Architects have included Pugin and Sir George Gilbert Scott. Betjeman praised it for ‘the perfection of its proportions, the noble simplicity of its stone mouldings, and the many changing vistas. 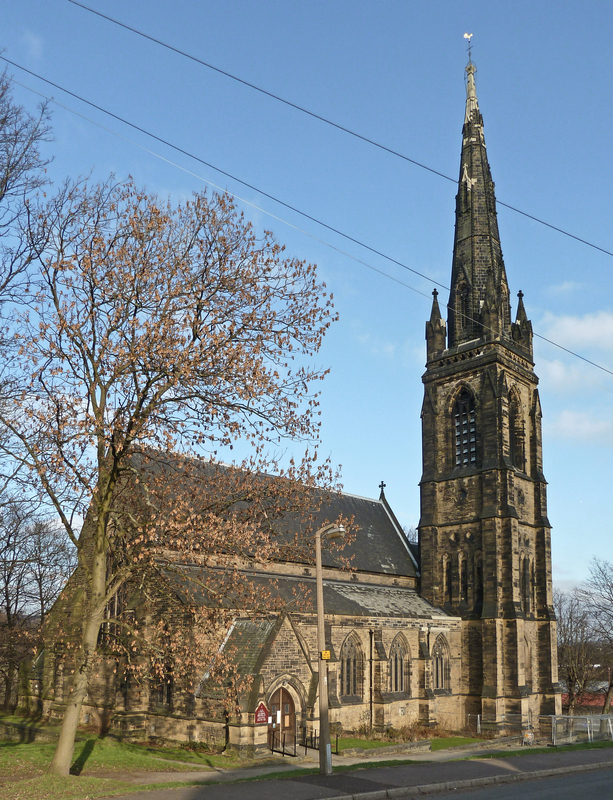 St John the Evangelist, Birkby, has received a £10,000 funding boost in the shape of a National Churches Trust Repair Grant to help fund urgent roof repairs. The project will repair the roof coverings, parapet gutters, masonry, glazing and roof drainage which are in very poor condition. Rainwater is currently penetrating through the defective roof coverings and parapet gutters, causing damage to the interior whilst areas of high level masonry and area of glazing are not stable. The project will enable these areas of the building to be fully restored making use of traditional conservation techniques and materials, to ensure that the historic fabric is sympathetically and appropriately conserved. This important historic building will be protected for future generations. The church of St. John the Evangelist was built between 1851 and 1853 to the designs of the noted church architect William Butterfield.St John’s lies at the heart of Birkby, half a mile from Huddersfield town centre. The foundation stone was laid in 1851 by Sir John Ramsden. It was consecrated in 1853 and it is said up to 4,000 people attended the opening. The octagonal spire with three stages of gabled lucarnes, crocketed finials and a weather vane, reaches 220 feet. It is a landmark which can be seen for many miles around. In the summer of 2008 thieves attempted to steal the lightening conductor from the church tower and in the process toppled the upper eight meters of the spire, which crashed to the ground causing extensive damage, especially to the south aisle. The subsequent repair, along with further investigations revealed that the building required extensive restoration work. St. John's Church is the base for the 'Aspire' project which seeks to address social poverty and bridge ethnic and inter-generational divides in Birkby by reducing the isolation of older people and improving community relations. In 2015 the nave was divided by a partition to create a church hall. The project will install toilets to serve the members of the community who use the hall. They will be wheelchair accessible with baby change facilities, with one adapted for use by the elderly. Already the church is well-used by the community, including a leisure club, music groups, a homework club, coffee mornings, and a foodbank. It will be able to hold more events, especially for young families with prams. Plans include a lunch group and a parent and child group. All Saints is a large Victorian building designed by J. A. Chatwin in 1898. A vestry was added at the north-eastern end in 1934 and a west polygonal apse and main entrance vestibule in 1937. The east window and Lady Chapel windows are all modern in style. "The proposed toilets are the best news I have heard about our church building in years. As a person with a condition that requires a toilet to be near and accessible, the proposed toilets will remove my anxiety and enable me to enjoy my experience at All Saints Church." 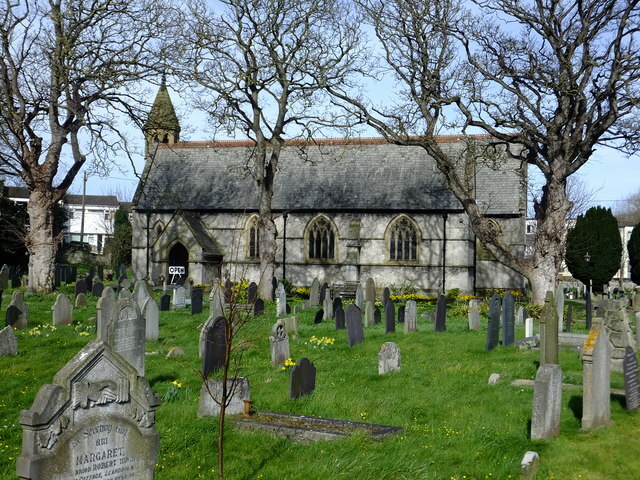 St Cynbryd’s Church in Llanddulas has received a funding boost in the shape of a £10,000 National Churches Trust Community Grant for its project to install much-needed facilities. The project to install a kitchen and toilets will make the church more welcoming to the community and help initiate more community projects. At the moment the heating is rather inefficient in winter and there are no toilets so events tend to be restricted to summer. The project ensures that this historic Grade II* listed building will be able to meet the needs of the community for years to come. It will provide kitchen facilities and accessible toilets, to welcome parents with young children and elderly people. The local school will be able to make more use of the building. The church plans parent and toddler groups, holiday clubs, and exercise classes, and will be able to move away from a focus on Sunday worship to fresh ways of worshipping and community activity. Accessible amenities will also help visitors participate in the cultural and historic environment of the building. Llanddulas is an old parish. Originally in Denbighshire, it covered the townships of Tre’r Llan and Tre’r Cefn. In the nineteenth century land was added to create the current parish. The earliest record of a church here is in the Norwich Taxation of 1254. The early church was ruined by a storm in 1732, but renovated by public subscription. By 1868 this building had fallen into disrepair, and the foundation stone of the present building was laid by the later Countess of Dundonald. The churchyard has been successfully developed with sensitivity, as a community garden which attracts insects and butterflies. The Community Group running it recently won another Green Flag award. 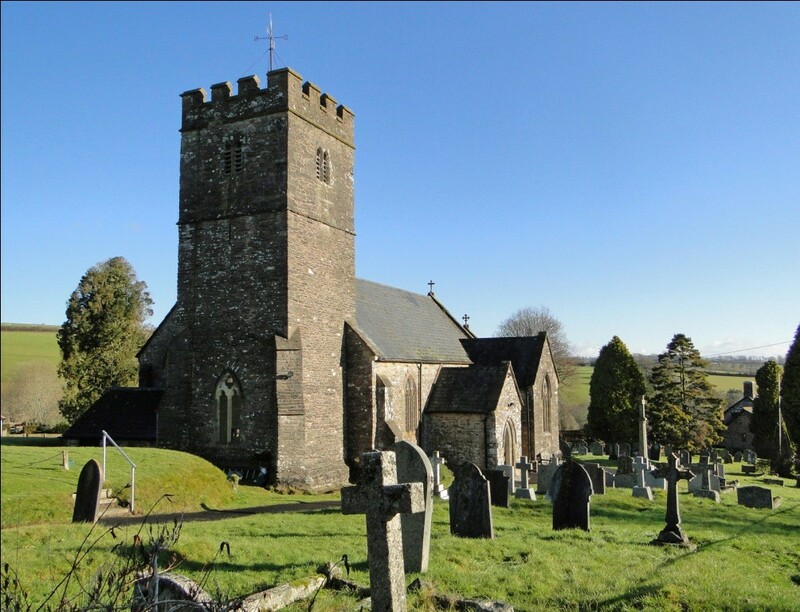 St Peter’s church, Llanwenarth Citra, has received a funding boost in the shape of a £12,000 National Churches Trust Repair Grant to help fund urgent roof repairs. The project will tackle the urgent structural works needed. The tower is unsafe and inaccessible – without work, the church will have to close. Stone slates are falling off the roof, causing interior damage. Falling slates are also a safety issue. Water has damaged the inside, with a damp carpet. Scaffolding makes the church appear closed. The project will repair the roof of the nave and chancel with stone slates, replace the lead flashings, and make the building watertight and safe. This is part of a larger project to repair the tower and install toilet and kitchen facilities. When dry and safe, the church can be properly used and its heritage appreciated. The whole community can benefit from using the conserved church. St Peter’s sits near a circular burial ground, a strong indicator of its use as a site of Christian worship since Celtic times. The present church is stone with a square tower, two miles from Abergavenny in the Usk Valley and just inside the Brecon Beacons National Park. The building dates from 1254 and was dedicated to St Waynardo. Features from this early church can be found in the tower base and doorway. Much of the present building dates from the fourteenth century, with ogival-headed priest’s doorway and simple chancel windows with reticulated tracery. The tower contains two bells from as early as 1495. There is a simple pre-Norman font. 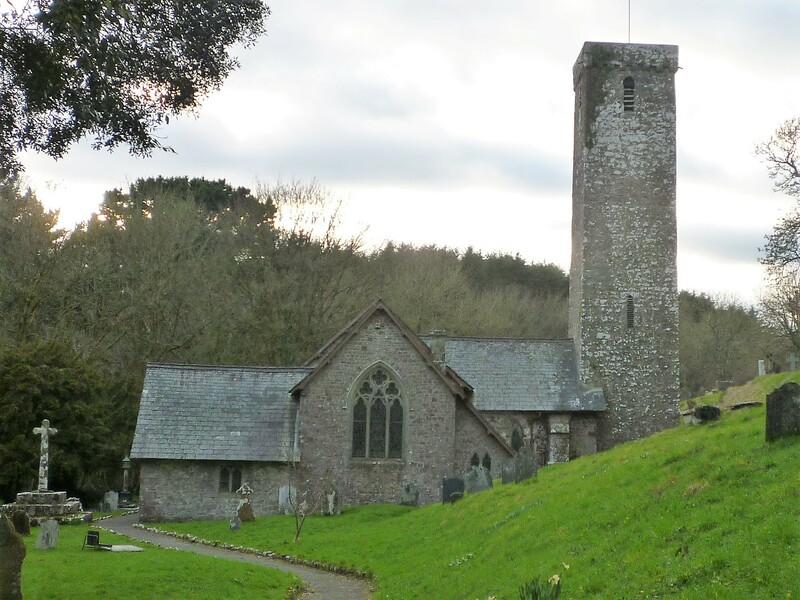 St James and St Elidyr, Stackpole, has received a £20,000 funding boost in the shape of a National Churches Trust Repair Grant to help fund urgent roof repairs. The project will repair the church’s roof in order to protect this important historic building for future generations. The roofs, which are in poor condition due to failing and rusting fixings, will be repaired. Water is getting into the church through holes in the roof when it rains. The installation of new rainwater goods will prevent damage to the building fabric and monuments. This will help solve damp problems which are leading to damage to walls and paint inside the church. The windows will also be repaired so that they can once again be opened and will provide much-needed ventilation. Following the repairs the church will be a more inviting venue for worship and for events including annual exhibitions, flower festivals, concerts and choirs. The church also plans to hold coffee mornings, history talks and guided tours to engage with the wider community and volunteers will be trained to give talks on the history of the church and the important monuments. St James and St Elidyr was built in the 12th century, and restored in mid 1800s. 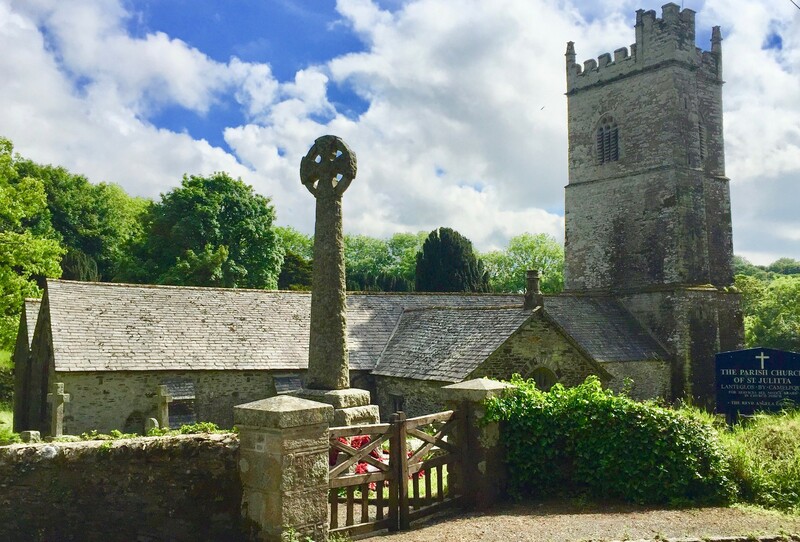 The church is partly dedicated to St Elidyr, or Elidor which may be a reference to Elidor de Stackpole, a Norman knight who established a settlement here. The church contains many notable features, including an inscribed pillar dating from the 5th Century, two 14th century female effigies on the floor of the Lort Chapel as well as some significant 17th Century monuments. The lych gate is a fine example of Art Nouveau work with lead panels and crestings. St Mary’s church, Lanark, has received a funding boost in the shape of a £40,000 National Churches Trust Repair Grant, the largest grant available, to help fund urgent roof repairs. The project will tackle the urgent roof repairs needed at St Mary’s church. The main church roof and slates are in very poor condition and urgent need of repair. There are areas of loose, dislodged and missing slates, and previous repairs have been carried out with incorrect sizes. Lichen and moss are also a problem. The project will re-slate all roofs with the existing and new Westmorland green slates. This essential work will preserve St Mary’s architectural beauty and historical significance to the Catholic church in Scotland, and it will remain open for local community groups. St Mary’s is a complex of Grade A listed building in a courtyard style, with a baptistery, sacristry, presybytery and hall. The main church was built in 1856, and rebuilt in the 1910s after a fire. It is built in the Gothic revival style, out of sandstone with ashlar dressings. The main roofs are steeply pitched and finished with Westmorland green slates; the nave and transept roofs have three bands of decorative slates. Robert Monteith began the original building, inspired by his connections with the Oxford Movement of Anglo-Catholicism. Pugin and Pugin added the reredos, the Lady Chapel, and the high altar in the nineteenth century.